This year marks a milestone in Canadian automotive history. A century ago, Sam McLaughlin, who’d founded his car company by building his version of a Buick in Ontario, was nearing the end of his contract with that brand. The American automaker already owned half of his firm, and with no sons to carry it on, McLaughlin sold the remainder. In 1918, the McLaughlin Motor Company became General Motors of Canada. Old-car fans well know the story of why McLaughlin went with Buick: his plans to build a uniquely Canadian car were scuttled when his engineer became ill. Unable to carry on without him, McLaughlin made a deal with GM founder Billy Durant to base his cars on Buick engines and parts. McLaughlin told the story himself many times, but now, some historians are skeptical. Did the entire operation actually hinge solely on one engineer, or could it have been a cover story instead, made up to save face when McLaughlin feared his new car might fail? Samuel McLaughlin was the third son of Robert McLaughlin, who was born in Tyrone, Ontario, northeast of Toronto. Robert’s hobby of carving axe handles turned into a business when his father sold them at a nearby market, and from there, Robert built a sleigh. When a neighbour saw it and commissioned one in 1867, Robert McLaughlin knew the direction his career would take. 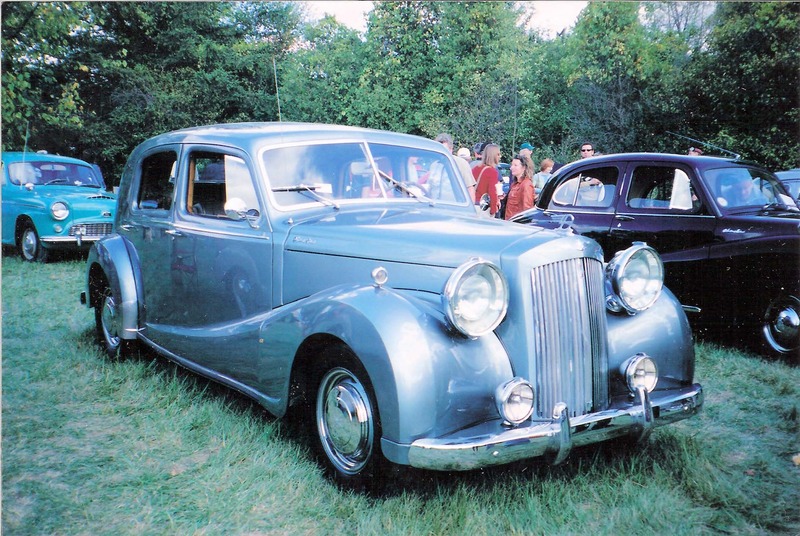 His company would become Canada’s premier carriage maker, thanks primarily to McLaughlin’s insistence on quality and detail, and on his proprietary steering mechanism that gave a smoother ride. He relocated to a larger factory in nearby Oshawa, Ontario, and rebuilt even bigger after a fire destroyed it. In 1900, the McLaughlin Carriage Company made more than 25,000 horse-drawn vehicles. Meanwhile, in the United States, David Dunbar Buick was working as a plumber in Detroit but was fascinated by the automobiles that were starting to appear. In 1901 he founded a company to build a two-cylinder marine engine, and alongside it, produced a prototype car. His engineering prowess far outweighed his business skills, and he had a couple of failed ventures before he incorporated his Buick Motor Company in 1903. Even that barely hobbled along until entrepreneur Billy Durant took an interest in financing it. As the auto firm grew under Durant’s skilled hand, David Buick was gradually downgraded into increasingly smaller roles. In 1908, Buick became the cornerstone company in Durant’s new General Motors. Meanwhile, back in Canada, the younger McLaughlin was taking an equal interest in these newfangled self-propelled machines. The carriage company’s accountant had purchased one, and when Sam McLaughlin took it for a drive, he was smitten. His father was less than impressed, and the younger McLaughlin was left to explore the idea on his own. In 1905, he visited some large American auto factories to scope out the process and finally settled on the idea of building his own engines, while buying the rest of the driveline from a small manufacturer in Michigan. That plan lasted until he drove two of that company’s cars and both broke down. He then visited Billy Durant in Michigan. Returning to Canada, he bought a two-cylinder Buick in Toronto that he drove home to Oshawa, a journey of about 40 miles. He was impressed with the car, but he and Durant couldn’t come to an agreement on licensing terms. Basing one’s Canadian car on an American model was pretty much standard procedure for the times. Almost every successful “Canadian” car used parts purchased from American automakers, or was simply a copy of a US car, built under license and with just enough trim changes and a new name to differentiate it. It’s unbelievably time-consuming and expensive to create a car from scratch, and in Canada’s smaller sales market, was much tougher to achieve the economy of scale needed to offset development costs and turn a profit. Since he’d already examined the processes of several American automakers, it’s all but impossible to think that McLaughlin wasn’t fully aware of this. But having come up empty-handed from his visits to the United States, McLaughlin decided that his car would be done in-house. He hired engineer Arthur Milbrath, and had some engine parts made to order by a Cleveland company. Milbrath designed a car for McLaughlin called the Model A (while Ford would most famously use the name, many other early automakers also put the alphabet on their cars). In a later interview, McLaughlin said the company had enough parts to build a hundred cars with the first one almost ready for assembly, when Milbrath came down with pleurisy in 1907 and was unable to work. And now comes the part of the narrative that leaves some historians with doubt. McLaughlin said he went back to Durant, asking for the loan of an engineer. Instead, Durant brought up the contract they hadn’t been able to finalize before – but this time, they almost immediately came to an agreement. McLaughlin had a deal to buy Buick’s mechanical parts for the driveline, and would use his carriage experience for building the bodies. Of course, one has to take the historical perspective into account when examining the story. In those early days, a fledgling automaker would likely have only had one engineer, rather than the teams they would later employ. For that matter, just finding someone familiar enough with these new machines would have been tough on its own. But at the same time, some question if McLaughlin, already a seasoned businessman, would have hinged his entire operation on a single employee. It’s also doubtful the entire operation would have resided solely in Milbrath’s head. Instead, some historians argue, it’s probable there would have been detailed drawings that others could have followed – especially if, as McLaughlin claimed, there were parts for a hundred cars all ready to go and which, it’s assumed, Milbrath wouldn’t have single-handedly been putting together. Instead, it’s been suggested that by 1907, when he approached Buick for the second time, McLaughlin had likely seen a few promising Canadian automakers already gone or about to close. The best years for Canada’s independent carmakers were yet to come, but of course, he couldn’t have known that. What he would have known was that brand-new auto companies didn’t always make it. And since his cars shared the name of the top-ranked carriage maker in the nation, failure of the auto company would reflect badly on it. Some believe that, with so much at stake, McLaughlin simply got cold feet and used Milbrath’s illness to abandon his unproven venture in favour of partnering with an experienced automaker. Of course, we’ll never know for sure. Everyone involved is long gone: Durant died in 1947, while McLaughlin passed in 1972 at the age of 101. But there’s enough to the story that very likely, at its heart, there’s a myth that could be cracked. Every Issue Has 56 to 90 + Pages of News, Events, Classifieds and Display Ads. We’re the one to give old vehicle enthusiasts great reading, great info and great advertising. Know what’s happening in the hobby! Friday: 8 am to 3 pm.